CERMEL has joined other national and international partners to create a new school for public health in Lambaréné. The agreement was signed on 2. July 2017 in the presence of the representatives of the parties, notably the Gabonese Ministry of Health, the University of Tübingen, Germany, the University of Vienna, Austria and the German Center for Infection Research (DZIF). 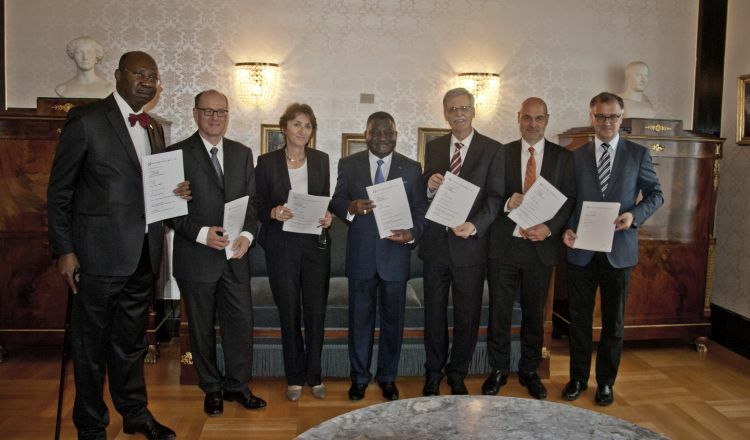 The signing ceremony took place at the University of Tübingen. A press release is available in English, French and German.